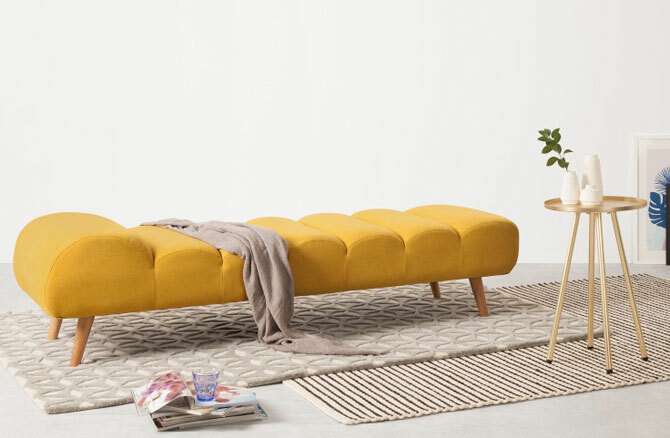 If you didn’t fancy the day bed from Swoon Editions we featured the other day, then perhaps this Caterpillar day bed at Made will appeal. Just nine of these available, so don’t hang about if you want this Malmo day bed at Swoon Editions. If we told you this was a midcentury Scandinavian classic, you might well believe us. But this is modern British design, specifically the Moonshine Day Bed by The Galvin Brothers.